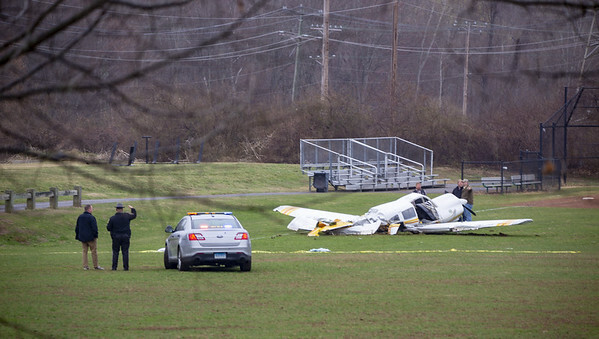 MERIDEN - Authorities say a small plane crashed onto a high school baseball field in Connecticut, injuring two occupants of the aircraft but no one on the ground. Authorities say it appears the pilot had been practicing “touch-and-go” takeoffs at a nearby airport when the aircraft lost power. Posted in New Britain Herald, General News on Friday, 12 April 2019 14:23. Updated: Friday, 12 April 2019 14:25.